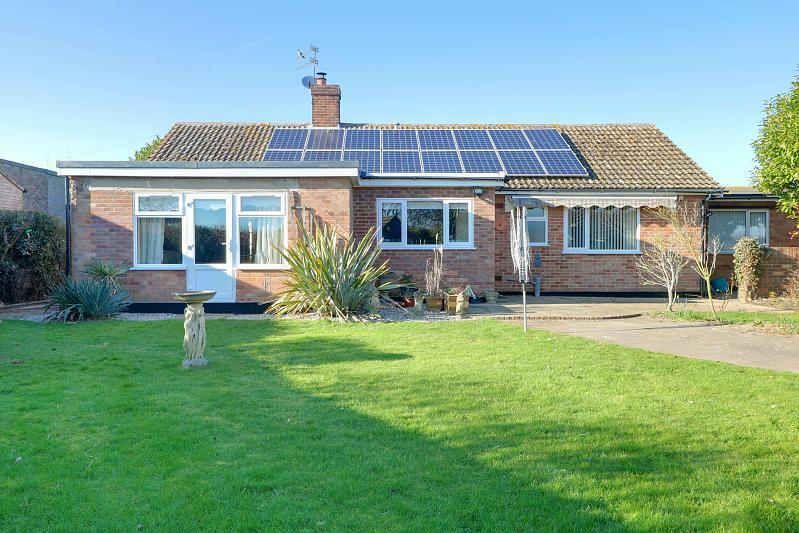 An incredibly spacious well maintained detached bungalow set a gorgeous mature plot in this ever popular coastal village of Kessingland being within walking distance of all amenities and less than half a mile form the beautiful unspoilt beach and sea. Offered with sealed unit double glazing, fitted carpets and gas fired central heating supplemented by 'owned' solar panels, the bungalow provides large well proportioned versatile living accommodation which includes separate lounge and dining rooms, a quality Oak fitted kitchen with built in appliances, together with a separate bedroom 'wing' that provides 3 bedrooms and large bathroom with shower area. 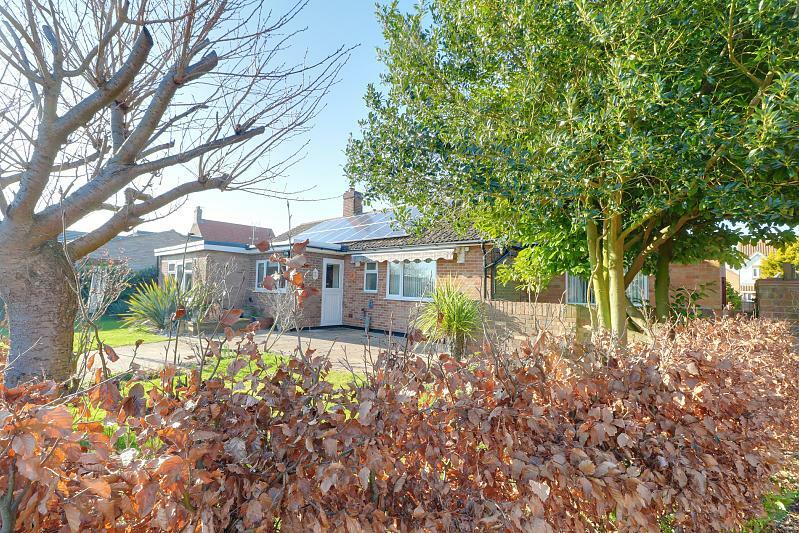 Outside the bungalow is set in the middle of large mature plot with lawns to both front and rear, ample parking and storage facilities complemented by an oversized garage/workshop with potential to extend and convert to a separate annexe (stp). 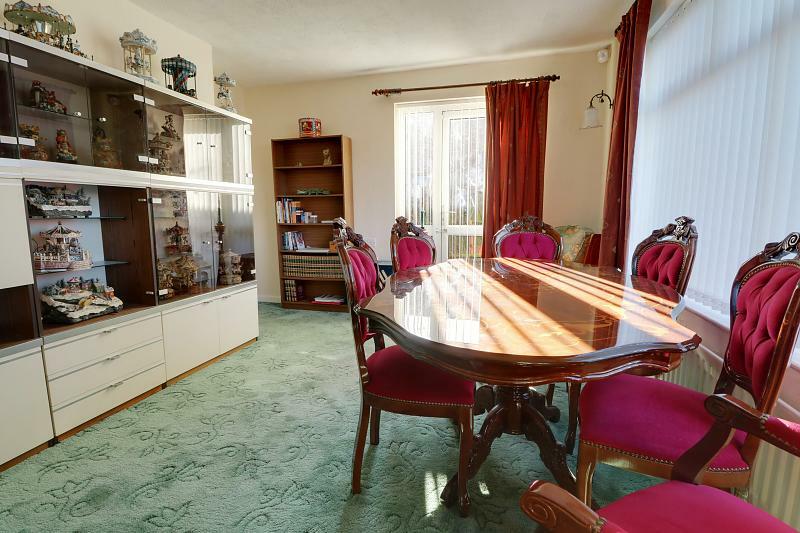 Offered with no onward chain and a 'ready to move into' condition and early inspection is highly recommended to avoid disappointment. Carpet, radiator, power points, built in cloaks cupboard, built in meter cupboard. 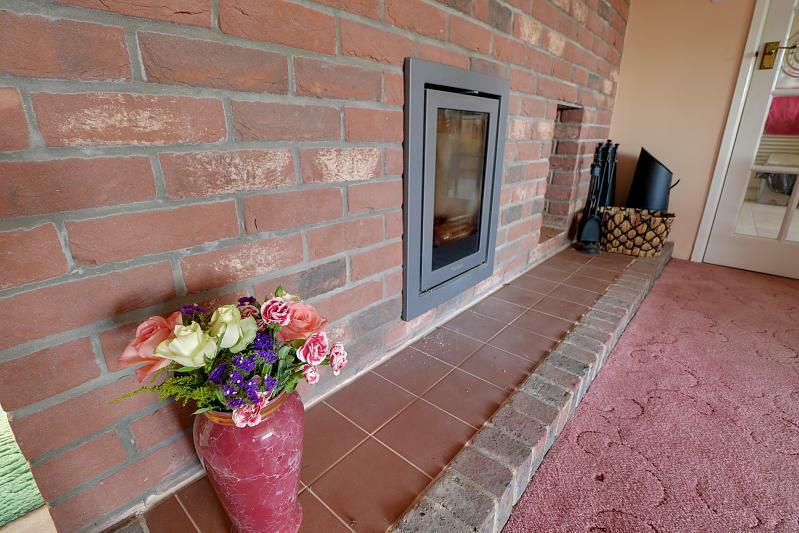 Carpet, power points, radiators, large sealed unit double glazed windows with matching French door, exposed natural brick feature wall with Oak mantel and inset contemporary multi fuel burner set on a raised tiled hearth with recessed log store. Single drainer sink unit with chrome (handc) mixer tap, cupboards beneath, worksurface to side with plumbing for washing machine and slimline dishwasher, 2 further worksurfaces with cupboards and drawers, range of matching wall mounted cabinets, tall pantry and larder units, space for tall fridge freezer, built-in fan assisted oven high and low level cupboards, attractive tiled splashbacks, ceramic floor tiling, sealed unit double glazed window and stable style rear door, inset spot lighting, vertical radiator, built in airing cupboard with pre-lagged cylinder and controls for solar panels. 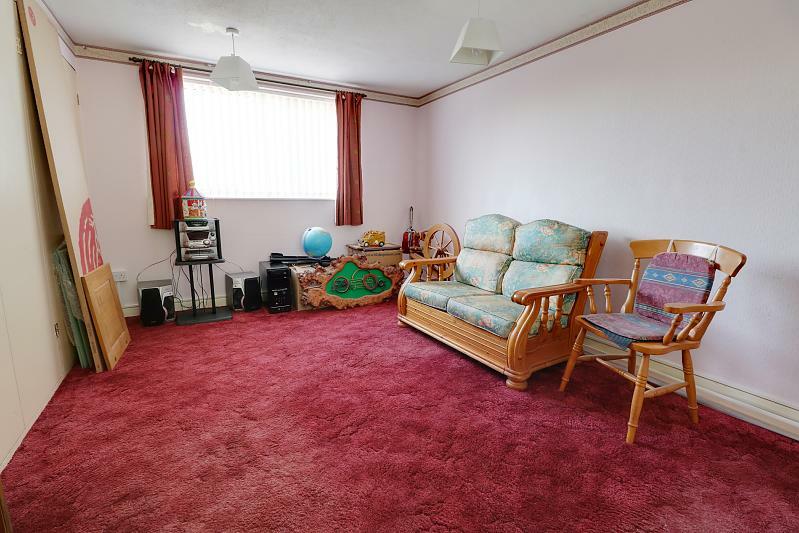 Carpet, radiator, power points, access to insulated and boarded roof void. 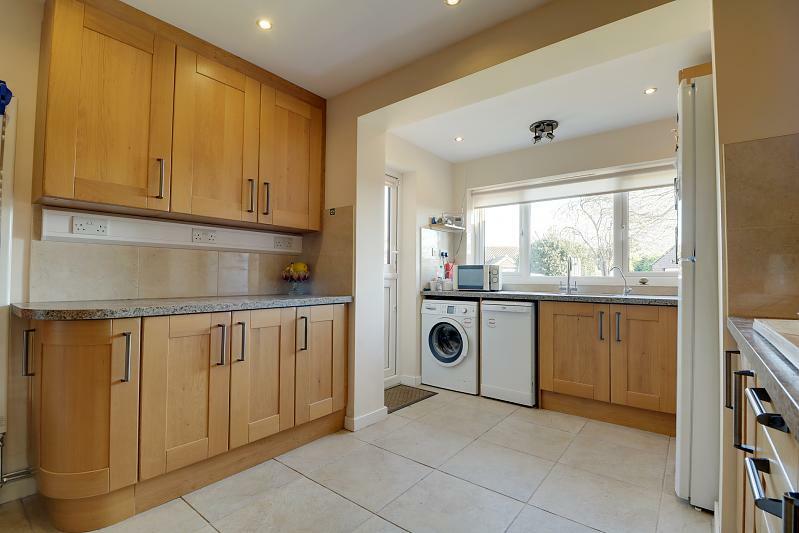 Carpet, power points, radiator, sealed unit double glazed window, range of fitted wardrobe cupboards. 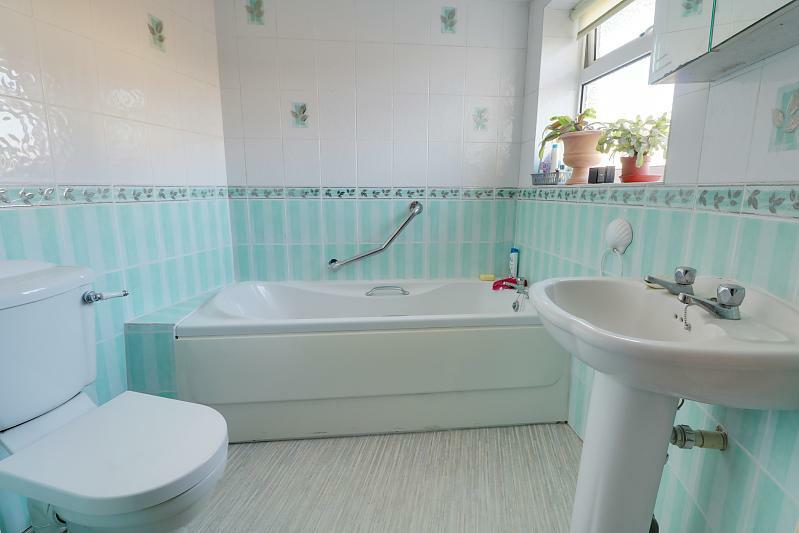 Low level wc, vanity wash basin, sealed unit double glazed, tiled splash backs, vinyl floor. 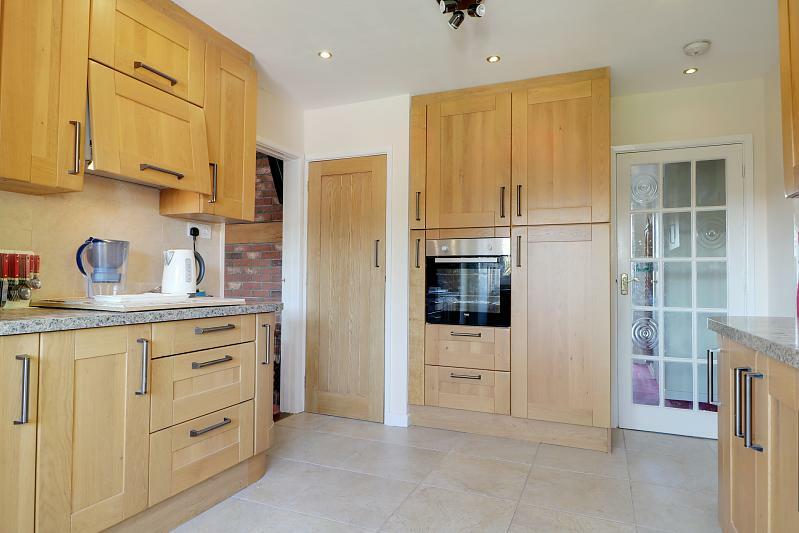 Carpet, power points, radiator, sealed unit double glazed windows to front and rear, range of fitted wardrobe cupboards. 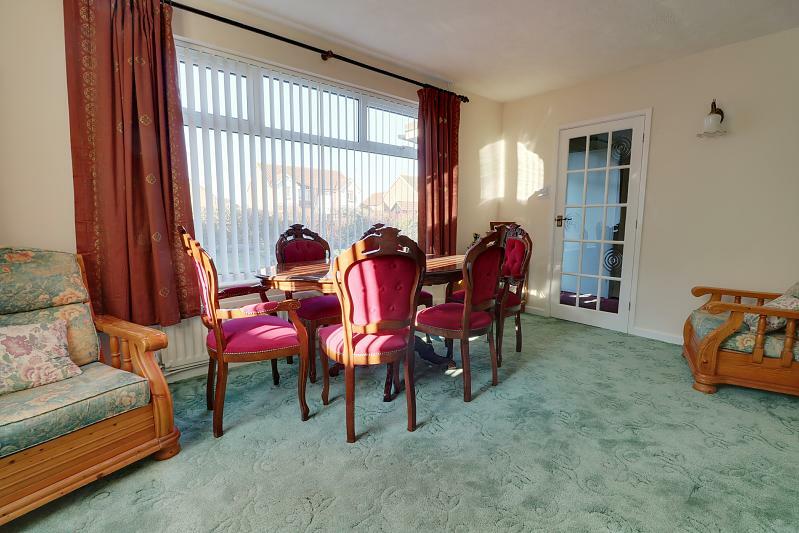 Carpet, power points, radiator, large sealed unit double glazed window. Modern White suite comprising panelled bath, recessed shower cubicle, low level wc, pedestal wash basin, fully tiled walls, extractor fan, sealed unit double glazed window, chrome towel rail, vinyl floor. 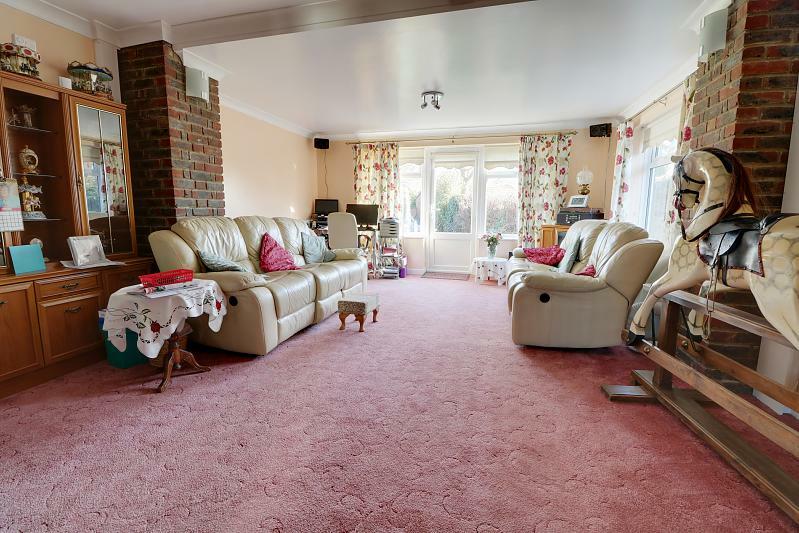 Good sized fully enclosed lawned garden with inset shrubbery and borders, high panel fence screen, hinged gate opens to tarmaced drive and turning area. 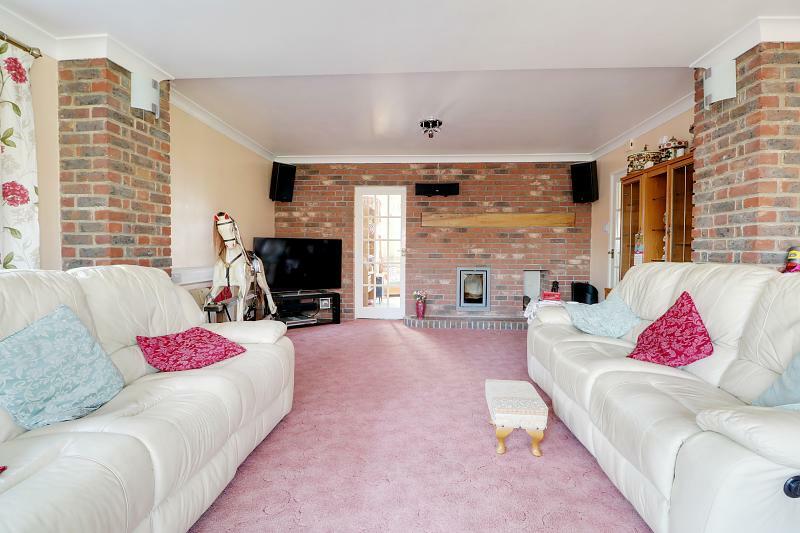 Shared drive to side extends to private gate and further sweeping concreted drive/turning area and large DETACHED OVERSIZED GARAGE/WORKSHOP with light and power, eaves storage space. 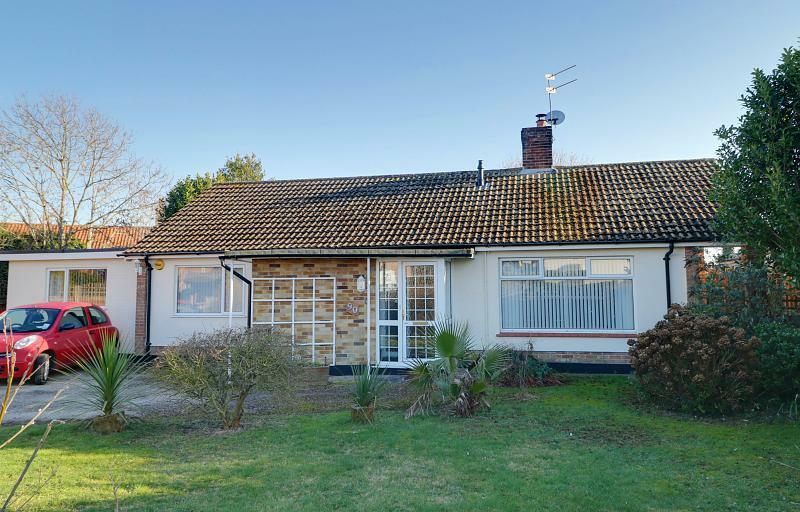 To the rear of the garage is an additional parcel of land which subject to the usual applications could allow the garage to be extended and even convert to a separate annexe. 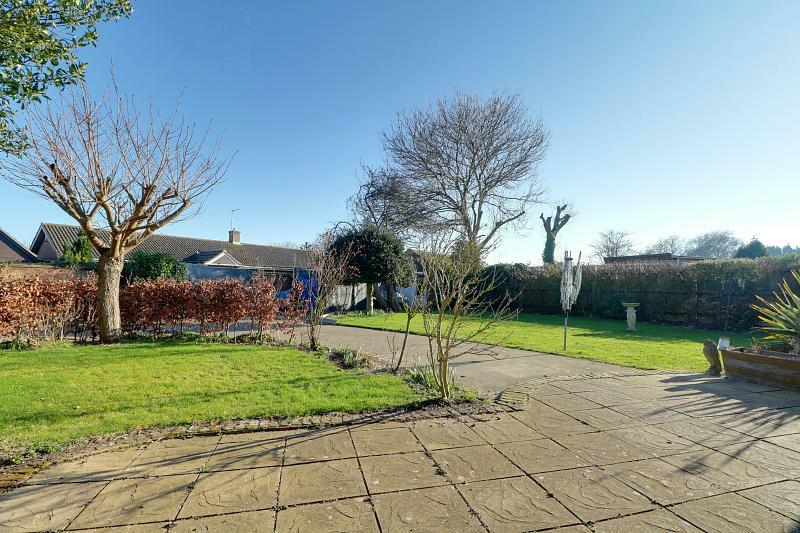 The remainder of the large rear garden is mainly laid to lawn with inset mature shrubbery and trees with concrete paths extending to secluded paved seating areas. NOTE: The solar panels attached, are owned outright and provide electricity and the ability to heat the hot water as well as providing a rebate from the national grid of approx. '600 per annum.